1 Bedroom Upper Floor Flat For Sale in Sheffield for Guide Price £125,000. Beautiful First Floor Apartment. One Bedroom. 60+ Age. 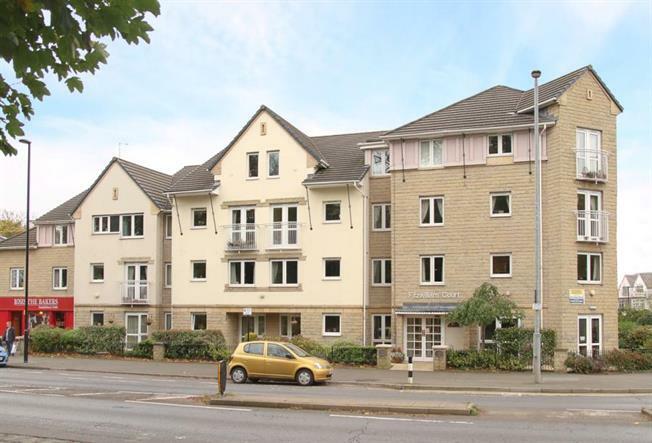 A well-presented "light & airy" one bedroom first floor apartment situated within the sought after McCarthy & Stone Fitzwilliam Court complex. Number 28 benefits from a lovely front facing lounge and having no onward chain involved. The accommodation in brief comprises; hallway, modern fitted kitchen with integrated appliances to include electric hob, electric oven and extractor fan. Front facing lounge with triple glazed window. The front facing double bedroom has a triple glazed window, as well as fitted mirrored wardrobes to one wall and a modern shower room comprising wash hand basin, low flush wc and walk in double shower cubicle with mains shower and seat within. The apartment benefits from economy 7 storage radiators, 24/7 care line, uPVC double glazing, security intercom system and lift access. Fitzwilliam Court offers an array of facilities with a resident manager, a communal lounge with kitchen facilities which are used for coffee mornings, party functions and socialising. There is a laundry room with washing machines, tumble dryers and ironing facilities. Stairs and lift to all floors and there is a double en-suite bedroom for visitors. Outside are well maintained lawned gardens, ideal for sitting out on a sunny afternoon. Car parking facilities. Excellent location for local shops, amenities, Ecclesall Library, local buses and Ecclesall Church.